A very colorful plug with an unusual shape . An old Louisiana friend swears he grew up fishing with it. I had never seen one until a couple years ago. 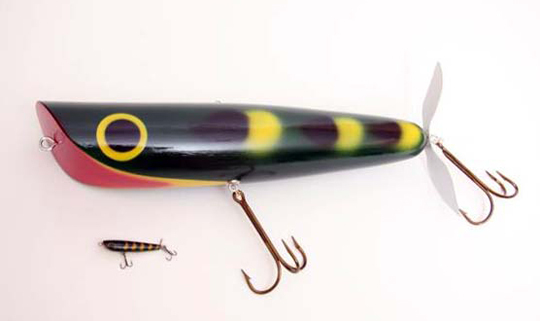 The original lure was made in Florida and is fairly famous. It was called the Dalton Special.